Cambodia Lab Rescue View other Labs for adoption. Jerome is a TriPaw, meaning he only has 3 legs having lost one of his back legs. He is 100% mobile though and gets around perfectly well. 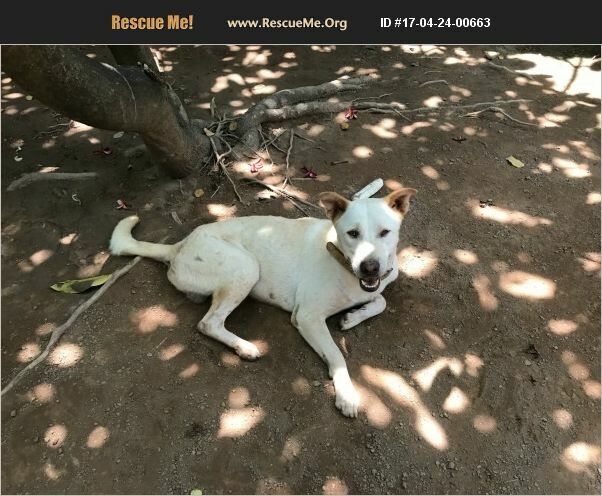 Not only that but he is a loving, loyal and protective dog currently residing at our rescue shelter in Phnom Penh, Cambodia. www.ppaws.com Prior to coming to us, he had been neglected and was malnourished but, he is now back in good health. He's a really great dog and gets on with other dogs after a short period from being introduced to them (as with most dogs). We have not exposed him to cats so we are unsure of how he behaves with them. We suspect probably okay because, as a street dog, living rough he would have been around cats. Our organisation (PPAWS) will ensure he is medically fit to travel and will cover the cost of any vaccinations for this as well as, producing his medical certificate for travel. To get him to the US he needs an up to date Rabies vaccination and can travel within 30-days. Please help and offer Jerome a loving home. After all he's been through he really deserves some TLC!